Can you merge required categories? For instance, there's a book I would like to read that is both a translation and written by a woman. Would it be considered cheating to choose one that fits two categories? Also, I'm not clear what "new to you" means. Does that mean I've never heard of the author or that I've never read anything by the author? I probably need to ask these questions on the OP. I'm off to ask over there. I may sign up for this challenge because it doesn't conflict too much with what I had already planned on reading. Well, as I understand it, there needs to be a separate book for each category. As for "new to you", I'll treat it as "have never read", because "classic" implies a rather well-known author. Yes, "new to you" means an author you've never read before -- it's to encourage people to try new authors. And I'm sorry about the problem with Mr. Linky, I think it's fixed now. Do you want me to go ahead and add you to the list, or would you prefer to do it yourself? I'm so glad you've joined, I look forward to reading your posts! I won't be able to participate. I had hoped I could using books I already own because I'm trying to only read books from my personal collection. 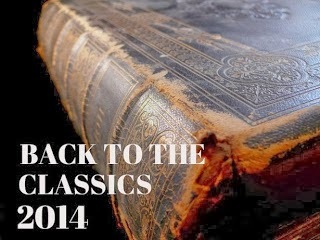 Unfortunately, I don't have enough classics on hand to be able to fulfill the required topics. I have a lot of books but I love reading classics so those get read sooner rather than later and after going through my library (of over 1000 books!) I only had a few that would fit any of the categories and since one can't be read to cover more than one requirement, I'll have to stick with my personal reading challenge and not try to do more, especially if the more would cause me to distract myself from completing the challenge I've already set for myself.